Plastic Automobile Parts Mould Plastic Injection Molds for Automobile Parts(17) - Feng Bin Molds Mfg. Co., Ltd. 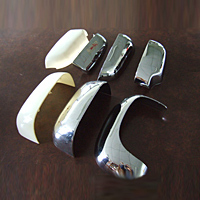 Plastic automobile parts mould plastic injection molds for automobile parts, OEM and ODM order are welcome.